Know the exact rank of any military personnel with whom you wish to correspond. Military personnel rely on adhering strictly to specific rules so that they can perform at their best. 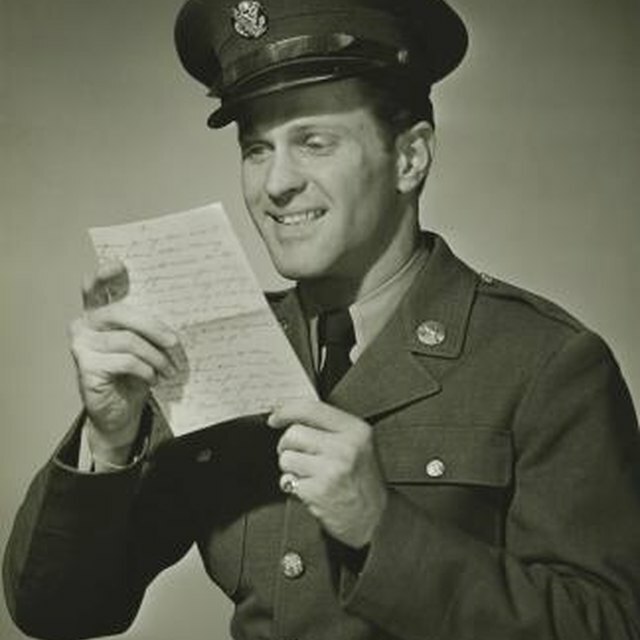 Following the rules of etiquette for properly addressing members of the military on envelopes, whether they're current personnel or retired, shows that you understand those rules of decorum and that you have respect for their jobs. Put a title or position, such as “Commanding Officer, Fort Leavenworth” directly below the name for official envelopes to a brigadier general. Write the address as you would for anyone, putting it below either the name or the title. Put your name clearly on the front of the envelope with the return address to avoid delays in delivery. Include your name on the return address. If you are writing on behalf of an organization, use its stationery, or put it in the return address.